WHO WE ARE – Homemade Jam! DJs are Terry and Gerri Humphries; a multi-award winning husband and wife team with a wealth of experience in the wedding entertainment business. If you are a couple looking for a lovely, stylish, fun and stress-free reception, hire Homemade Jam! DJs to help you with the entire planning process. As a Peterborough Wedding DJ, we travel all over Ontario supporting and assisting couples with their wedding day festivities. We have more than two decades of experience in the wedding business and have consistently delivered an impeccable level of service to over 800 couples! WHAT WE DO -Absolutely incredible music, beautiful uplighting, personalized wall monograms, awesome photo booths, licensed wedding officiant, certified wedding consultant/ planner, day-of coordination, beautiful décor, ruched chair covers, wall-to-wall room draping, sweet candy table, top-down ceiling draping, twinkle lighting, crystal chandeliers and head table backdrops are just some of the amazing wedding services we can provide for our clients. We make wedding dreams come true and will give you a wedding day filled with love, laughter, joy and many happy memories. Terry and Gerri Humphries from Homemade Jam! are placed in the top 5% of wedding professionals nationally, are featured in wedding magazines and are winners of internationally recognized wedding awards six years in a row ~ The Couples Choice Awards AND the Wedding Industry Experts Awards ~ The Fall/Winter 2014 edition of ‘Weddingbells’ magazine and the Spring/Summer 2014 edition of ‘Ottawa Weddings’ magazine! WEDDING EXPERTS – In order to make your big day absolutely fabulous, we are also a licensed wedding officiant and certified wedding planner who will combine our experience for an unforgettable ceremony and excellent day-of-coordination. Wedding Reception Packages and Prices are listed below. Our Start-Up Package is free to all our clients and our Bronze Package is the base package that Homemade Jam! DJs uses at every wedding. The differences between the rest of the packages listed below is the amount of lighting and special effects we offer. $0 – When you reserve us as your wedding DJs, you will receive our exclusive start up package at no additional cost! This package gives you all the tools and confidence to start your wedding planning process today! $1375 – This is the essential wedding entertainment package that includes everything needed to have an amazing wedding day. Along with great non-stop music, you get an MC, wedding day coordination, online event planning, beautiful ambient lighting, cordless microphones and much more! $1575 – This package is for the bride who desires everything needed to have a wonderful celebration and includes additional lights to illuminate the reception area. Great for large venues! $1750 – This is the ‘Dance Lights’ package! Along with all the essentials needed for a successful wedding reception, this package includes an amazing assortment of colorful dance lights and more decor uplights. Great for the bridal couple who want more atmosphere during the dance portion of the reception. Make your dance floor come alive with mirror ball effects, dance floor color wash and moving LED lights! $1900 – Our ‘Name in Lights’ package is our most popular package! Elevate your wedding ambiance and vibe with more colorful uplighting and a custom monogram projection on the walls or floor of your venue. What a great way to personalize your wedding decor. Included is beautiful under table lighting for your head table, cake table or gift table. $2000 – This is our magical ‘Dancing under the Stars’ package that is perfect for larger weddings! Our ‘Stars Light’ is the ultimate wedding dance special effect that will instantly give your wedding reception beauty and elegance! This beautiful lighting effect is projected onto the ceiling, creating a moving blue/purple nebula surrounded by thousands of floating stars. Dancing under the stars is guaranteed to take your breath away! A PERSONALIZED WEDDING DAY– For couples who desire a romantic, fun and stress-free day, we give you the wedding YOU want, with no surprises. With our wealth of wedding knowledge, our assistance, our unlimited support and our guidance throughout the entire wedding planning process, you can create and experience an amazing wedding that is uniquely yours AND have an awesome party! We are well known within the wedding industry as the DJs who ‘do it all – for weddings large and small’ Our wedding DJ packages/prices and available add ons are sure to make your wedding perfect! PRE-PLANNING, DAY-OF COORDINATION AND GREAT MUSIC! – We do extensive pre-event planning with both of you to make sure we know every aspect of your wedding. We then perfectly coordinate and manage the entire wedding day AND play your personal song lists for the ceremony, cocktails, dinner and dance. Best of all…we know how to play music that will keep everyone happy, from the kids to the grandparents, and pack a dance floor all night long. ONLINE PLANNING TOOLS AND MUSIC REQUESTS AREA – As our client, you will have access to our “Online Planning Tools” and “Music Request Area” where you can customize every moment of your wedding day and stay completely organized. Our exclusive Wedding DJ Services will help you create a perfect wedding day exactly as you imagined it so you can relax and enjoy your amazing day with your friends and family. OFFICIANT, PHOTO BOOTH, LIGHTING & DECOR – As an added bonus, we can compliment our unique wedding services with an Officiant, Beautiful Lighting and Elegant Decor that is luxurious and of the highest quality. We have colored room uplighting, spectacular dance lights, personalized monogram projection, beautiful ruched chair covers, elegant room draping and stunning rhinestone and crystal backdrops. We also have amazing Photo Booths! Providing wedding excellence in sound, lighting, decor and photo booths, we make your wedding absolutely beautiful and perfect. WHERE WILL WE GO? – Homemade Jam! Professional DJ Services is a Peterborough Wedding DJ/Disc Jockey committed to making your wedding dreams come true! 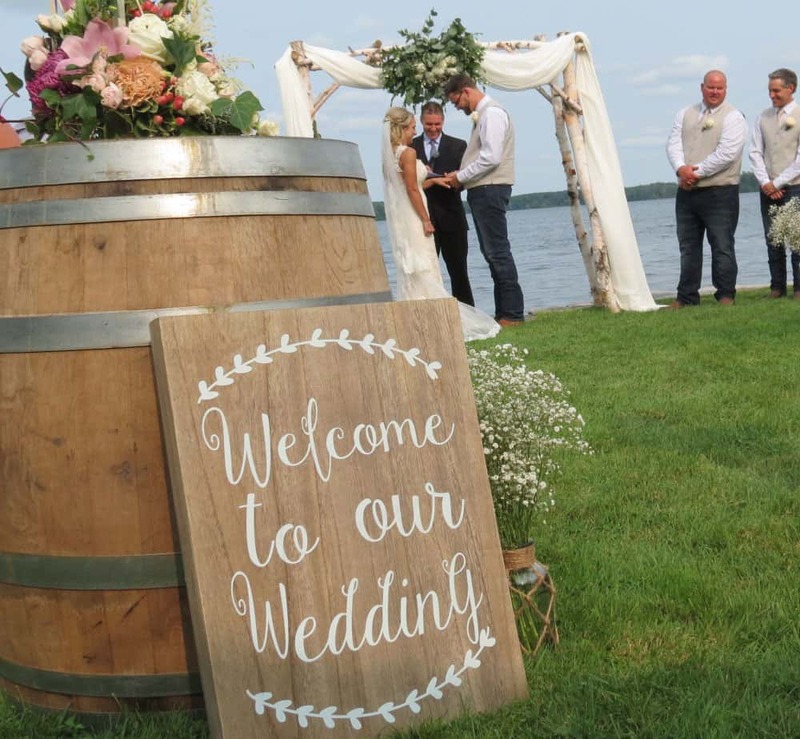 As mobile Wedding DJs we travel extensively throughout Ontario performing weddings in Peterborough, Kawarthas, Cobourg, Belleville, Kingston, Haliburton, Bancroft and Muskoka. The best way to get to know more about us and discover how we can help you have an amazing wedding is to Contact Us today! RECOMMENDED BY MANY VENUES – Many of our bookings are referrals from past clients and their delighted guests, other wedding professionals we have worked with and venues we have performed at. 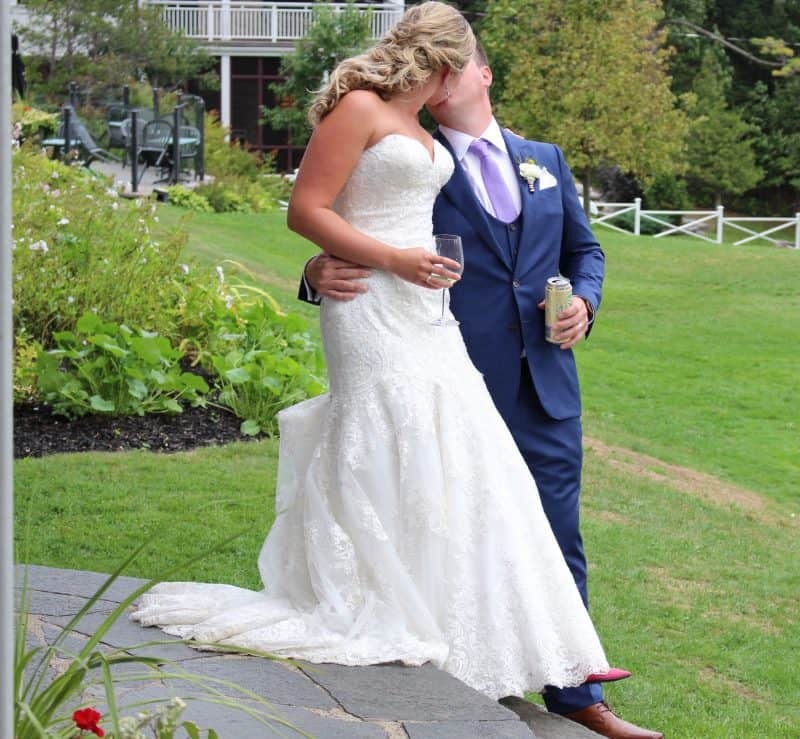 As a preferred DJ we are recommended by many upscale venues including Century Barn, Viamede Resort, Pinestone Resort, Polmenna Barn, Elmhirst Resort, Bonnie View Inn Resort, Sir Sams Inn Resort, Windermere House, Wolf Run Golf Course, Baxter Creek Golf Course, Wildfire Golf & Country Club, Delta Kingston Waterfront, Occasions By The Bay, Bark Lake and the Best Western Cobourg. WE LOVE TO TRAVEL – Weddings are our speciality and as highly sought after and in-demand mobile wedding DJs, we have worked from Ottawa to Toronto and every point in between. We service Peterborough, Kingston, Belleville, Trenton, Cobourg, the Kawarthas and their surrounding areas. For weddings outside our service area, travel expenses may apply. We proudly service Central Ontario, Eastern Ontario, the Kawarthas, Northumberland, Quinte and many other areas in Ontario. Our DJ service is beyond compare in Peterborough, Kingston, Belleville, Picton, Trenton, Cobourg, Port Hope, Lindsay, the Kawarthas, Haliburton, Bancroft and all over Ontario. We are your Peterborough wedding DJ, Belleville wedding DJ, Trenton wedding DJ, Picton wedding DJ, Kingston wedding D J, Cobourg wedding DJ, Port Hope wedding DJ, Lindsay wedding DJ, Haliburton wedding DJ, Bancroft wedding DJ and your Ontario wedding DJ. We are your Peterborough wedding DJ!